Clayborne’s presents the original model of our deluxe line of Amish made solid hardwood jewelry boxes, featuring the same sturdy dovetail joints found in the fancier models with drawers and carvings on the tops. 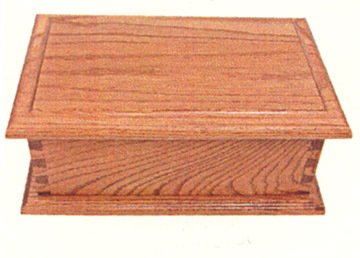 Here is the solid oak deluxe jewelry box with a plain top and a plain front. This jewelry box is also available in solid cherry.